Honda two-wheelers India has forayed into the premium 300cc motorcycle with its Neo Sports Cafe inspired offering, the CB300R priced at 2.41 lakh, ex-showroom. The 2019 Honda CB300R takes its styling inspiration from its elder sibling, the CB1000R. Honda dealerships across the country have already started accepting bookings for the CB300R and the deliveries of the same should begin shortly. 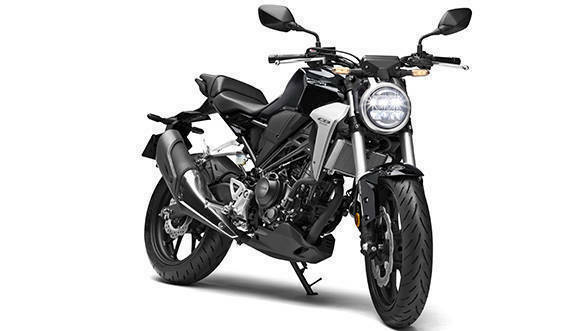 The two-wheeler company has already confirmed that the CB300R is being brought to the country through the CKD route, which is in contrast to the other locally manufactured motorcycles in this segment. 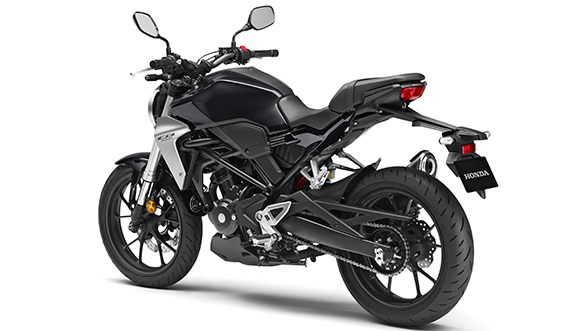 The CB300R is powered by a 286cc, liquid-cooled, single-cylinder engine with a four-valve, DOHC head, and outputs are 30.45PS and 27.4Nm. 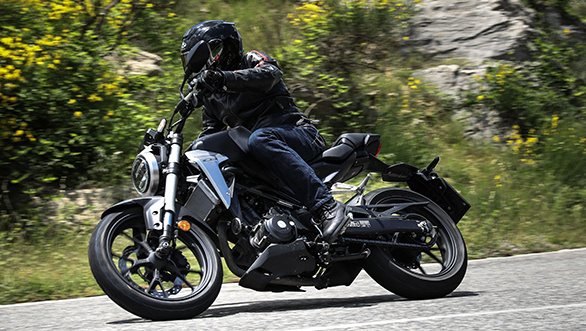 The CB300R of course boasts top-drawer equipment, including a full-LED headlamp unit. It is suspended on a pair of 41mm upside down forks at the front while a 296mm, petal disc along with a radially-mounted, four-piston caliper takes care of braking duties up front. The CB300R comes equipped with an IMU as well, which works full-time in sync with the ABS. The bike is equipped with a 37mm upside down fork at the front with suspension travel of 130mm and a mono suspension at the rear. The brake setup at the front consists of a four-pot caliper by Nissin that bites onto a 296mm rotor and a 220mm disc at the rear with a single pot caliper. The 2019 Honda CB300R carries the new 'Neo sports cafe line' design which, in essence, is a mashup of modern and retro design. Up front, the bike sports a circular headlamp with an exposed instrument cluster. A beefy tank and minimal body panels exposes a bit of the new steel diamond frame, evident from the side profile. The 2019 Honda CB300R will lock horns with the likes of the KTM 250 Duke, Bajaj Dominar 400 and the BMW G 310 R in India.